In Pennsylvania, the Department of Labor and Industry monitors and administers the codes and regulations which affect the safety of our workforce. The Bureau of Workers’ Compensation (”the BWC”) administers laws which assure that workers are insured against job-related injury, illness, or death. The Health and Safety Division of the BWC is responsible for enforcement of the health and safety regulations of the Workers’ Compensation Act. The Bureau of Occupational and Industrial Safety is responsible for the administration and enforcement of various provisions and regulations including the Uniform Construction Code, the Fire and Panic Law, the Universal Accessibility Law, the General Safety Law, the Boiler Law, and the Elevator Law. Also included in the purview of the Bureau of Occupational and Industrial Safety is the enforcement of the provisions of the Liquefied Petroleum Gas Law and the Flammable & Combustible Liquids Law. With the burgeoning growth of the natural drilling industry in Pennsylvania’s Marcellus Shale field, it’s important that the workers in this industry can be assured of a safe work environment. It’s also important that these workers are aware of the rights and remedies available to them in the event that they suffer a work injury. 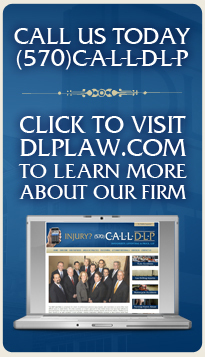 The team of lawyers at Dougherty, Leventhal & Price are ready to answer your questions on workplace safety and the workers’ compensation system. If you do suffer a work injury, contact us and we will be happy to represent you and guide you through the litigation of your workers’ compensation claim.